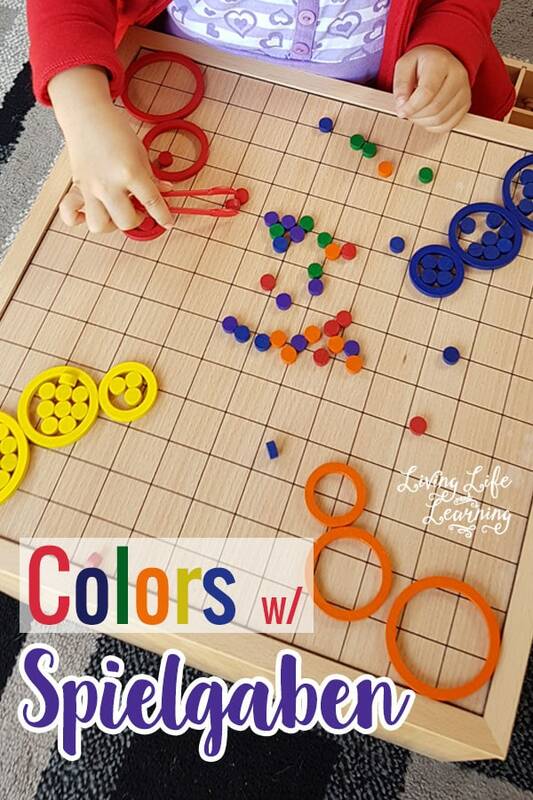 Who wants to have fun with colors while practicing some fine motor skills at the same time? My daughter is in love with flowers so we spend lots of time outside in our backyard and she loves telling me what colors they are. Unfortunately, I don’t have many different varieties so we can head indoors and find more colors as well. 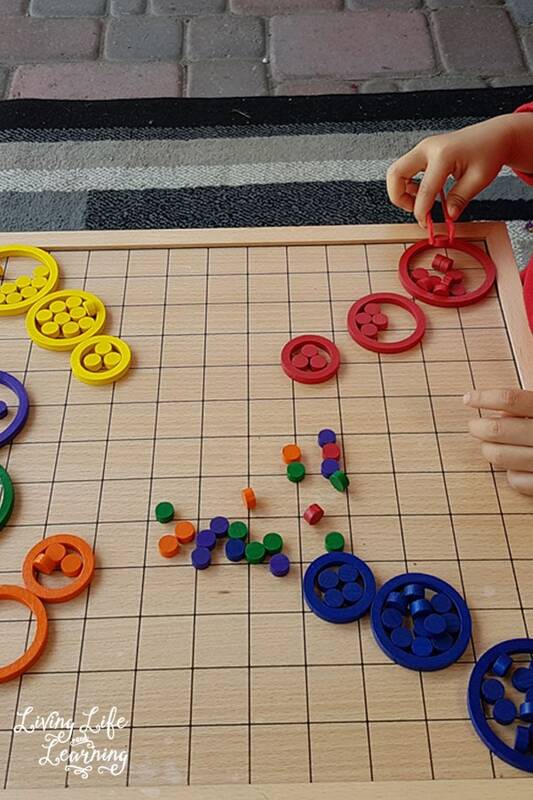 We pulled out our Spielgaben set and worked with the circles and dots which are made of the same color. There are a lot of fun shapes in the set but my daughter likes to pull out the little tweezers to work with the small dots and place them into the large circles. We used the different size circles so that she could fill them up with as many dots as she could. We talked about how the little circle was not able to fit as many circles as the larger and so on. We had this out in the backyard before the thunderstorm hit us and we had to head indoors. 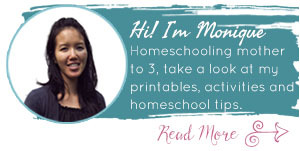 When we were inside, we worked on my white board so that we don’t lose any pieces. 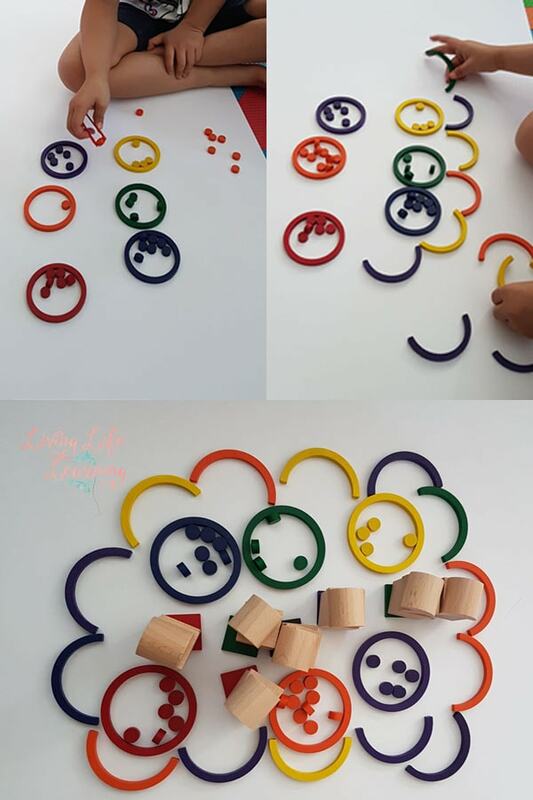 After she was finished matching up the colors, she started to use the rest of the shapes to the board and it turned into a rain cloud. I love how any activity left to the child can turn into an open ended one which leads to wonderful creations. It was really fun to watch, afterwards she added a line of wooden blocks on either side the the board and said they were both towers. I love watching her build the scene to bring her ideas to life. 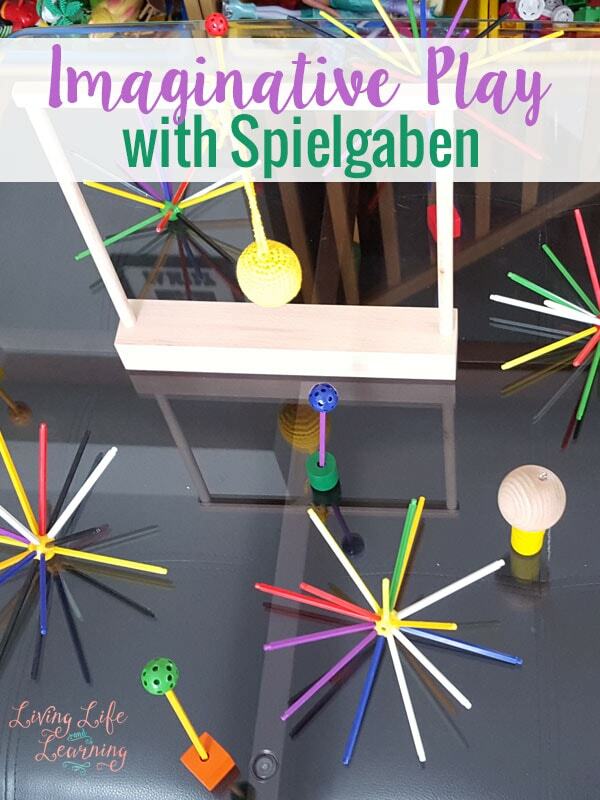 If you’d like your Spielgaben set, you can save 11% (up to $50) on it if you mention that you saw them on this blog.